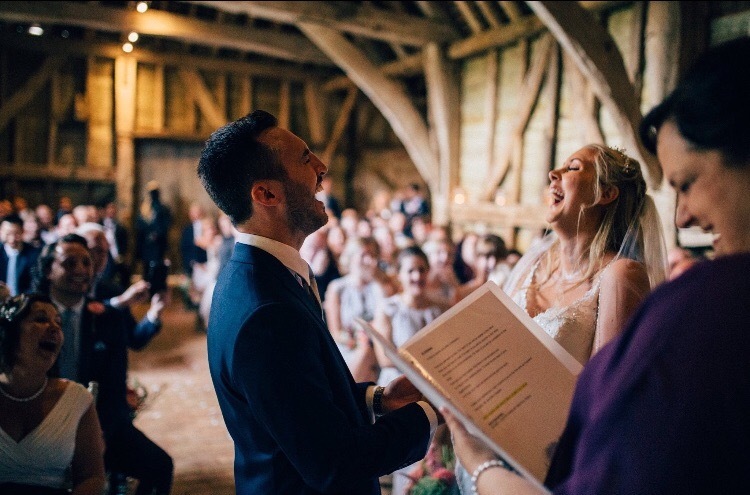 A few weeks ago I returned to High Billinghurst Farm to perform Chloe and Mark's Wedding Ceremony. What a sweet love-filled afternoon it was. It was very clear that this wedding was a long time coming for this gorgeous couple. Chloe had planned the day down to the most minute detail....the groomsmen took great pride in showing me their personalised 'to-do' lists! Every detail of the day was so well thought through from the gorgeous flowers and candles in the ceremony barn to the flip flops for tired dancing feet. The gorgeous country flowers were stunning. And the enticing smell of curry wafted through the barn as the dinner was the couples favourite food. After dinner and dancing the more intrepid guests were due to camp in huge bell tents which were erected in a nearby field. 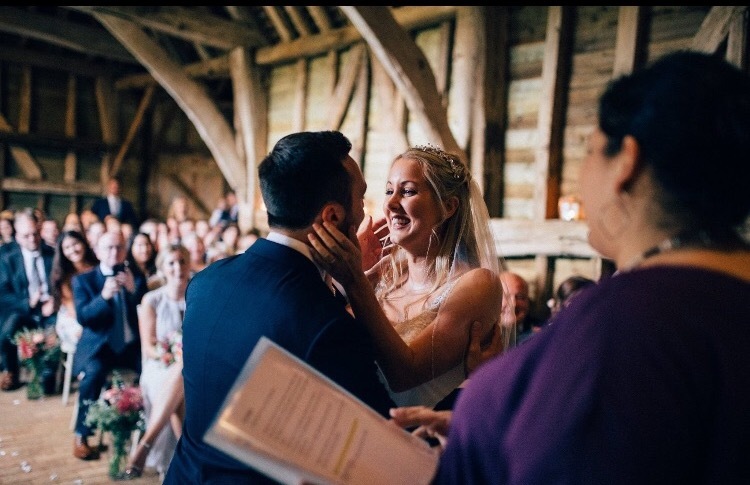 Honestly this venue offers SO much scope for the imagination and the wonderful owners - Tom and Sally-Anne - really do help bring couples dreams to life. It really was enjoyed working with Chloe and Mark to bring their day to life and fulfill their dreams! Congratulations to the happy couple!